Travel insurance? Good idea, or waste of money? Travel insurance should be an essential purchase for anyone before they head off on a trip overseas, and yet I still hear about so many who get themselves into situations because they didn’t want to spend the extra money. Is it really worth ruining your trip with health concerns, hospital bills, or lost luggage to save money by not buying insurance? Personally I think you’re a complete idiot if you travel without it. Now over the years, I’ve gone on many trips overseas, all of which I’ve been covered by travel insurance. Granted most have gone without a hitch and without any need to claim. Yes I could have saved myself hundreds of dollars not buying travel insurance but ………………. I don’t own a crystal ball, and I am by no means psychic. There have only been a couple of times, but a couple all the same when I’ve needed insurance, and have been glad I was sensible enough to buy it. Most travel insurance policies cover a wrath of different things including accidents, or health issues, doctors and hospital bills and even on some occasions medication. They also cover lost of damaged luggage, lost/stolen credit cards and money, lost or stolen passports including emergency replacement or sorting out travel documents. The list goes on but these definitely are the most important to pay attention to. Hospital bills are not cheap overseas. There’s not only the initial cost of treatment, but also the possibility that you could be kept in hospital for days, weeks or even months. There’s also the post treatment costs. In my case I broke my leg once, and so it was very uncomfortable to fly, my leg would swell up like a balloon, and sitting in economy class was hell on earth. Luckily because I had travel insurance, I was upgraded for all my remaining flights to business class, making the journey home much more bearable. I also received help carrying my bags, and health checks in all the locations I travelled to make sure that everything was ok. The other thing that can also put a dampener on your travels is lost of damaged luggage. Suitcases go missing every day around the world. Some turn up, eventually, some never do. And it’s not going to be cheap to buy a new suitcase full of clothes for your holiday. Luckily, (touch wood), this hasn’t happened to me on my travels, but on my recent trip to Argentina, I needed to claim for damage to my camera and iPhone. I had travel insurance with CoverMore and had made it through the entire 3 weeks with no problems at all. When checking in for my flight home, I dropped my bag off the counter, onto the marble floor of the airport. This had my Nikon DSLR camera in it and also my iPhone, amongst other things. At first I didn’t think there was a problem. It was only when I was through customs that I took my phone out to use the internet, that I noticed the screen was totally smashed, and that it wouldn’t work. I then checked my camera and realised a piece of the camera lens had broken off and was floating around inside the camera. Not a great end to a holiday at all. However, I had travel insurance, so although annoying that things had broken, it was not the end of the world, and I knew that my insurance would cover repairing or replacing the items damaged. And that’s exactly what happened. Yes I had to fill out paperwork and get repair claims sorted, which let’s face it, isn’t the most interesting of things to do, but at the end of the day, my camera was fixed, and my iPhone was replaced. The damage to my camera and iPhone cost nearly $2,000 to repair and replace. My medical bills when I broke my leg would have been at least $10,000 if not a lot more. Travel insurance, depending on where you are travelling, can start at less than $100. It’s not hard to guess which I choose, and would choose every time. It does pay to do a bit of homework before choosing your travel insurance. There are many different companies and many different types of policies. Be sure to check what is and more importantly isn’t covered before you make your final decision. On my trip to Argentina, I went with CoverMore Insurance, and went for the Options Policy, the highest option available. This covered me for many health benefits, but more importantly a higher amount of cover for my laptop, camera and other electronic goods, which I am glad I chose. CoverMore can provide policies to those living in Australia, UK and New Zealand. For Australia – www.covermore.com.au or call 1300 72 88 22. 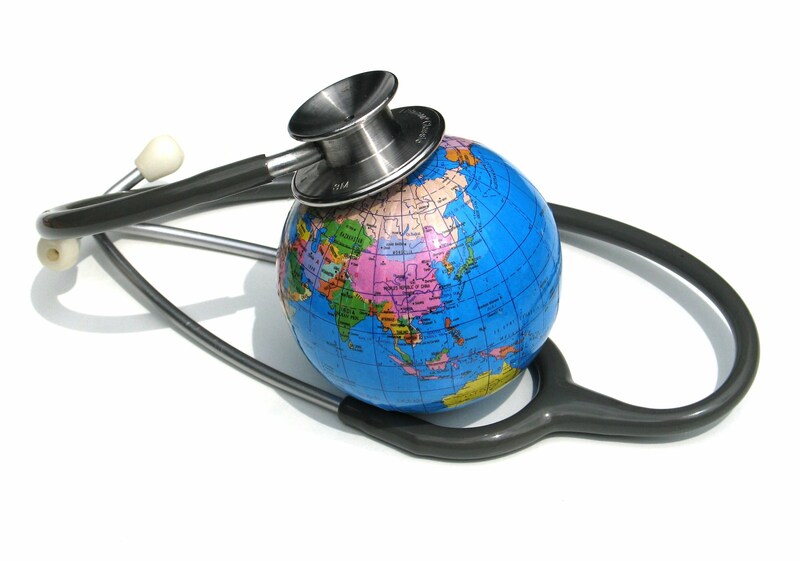 Travel insurance is very essential for all travelers, especially when travel overseas. It is necessary to have a great and safe travel deal. Yeah, I’m with you guys… I’m not sure how some people can justify traveling without getting adequate coverage. Especially when traveling to some foreign country, not knowing the language and something happening to you. It’s just worth the peace of mind in my opinion to get this sorted so you can focus on enjoying your trip. Anywhere you travel, travel insurance is good for us.